An ultra stylish and adaptable chair, our blue Campbell office chair with arms is a very practical addition to many locations and events, from offices, to receptions and conferences. 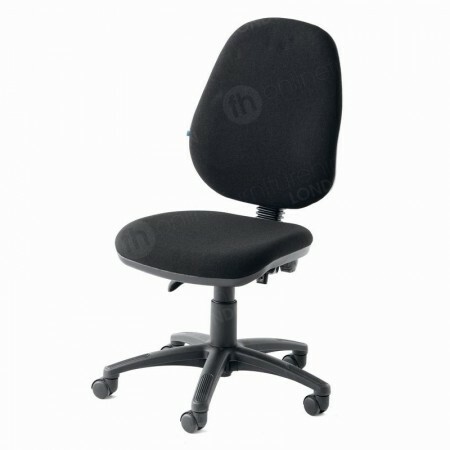 Upholstered with levers to alter the height and tilt of the seat, this comfy, innovative, with a really modern design and arms for extra stability. It’s likely that chairs hundreds and hundreds of years ago were not as comfy as modern day equivalents like our Campbell office chair with arms. Although some cultures created very early opulent designs, wood was the material of choice for a very long time when it came to manufacturing seating. This is probably because it was cheaper to buy and shape, in addition to being hardy and lasting for a long time. Comfort as always been popular! Before the 1600s, you’d be hard pressed to find chairs in the average home and business, because seating was normally the reserve of rich rulers or notable people in the military or church. But, this slowly began to change in the 17th Century, when this association weakened and increasing numbers of people bought chairs for their homes and business premises. Even in their earliest days, chairs have always been very functional, and designers did all they could to work with the materials and tools available at the time to create fantastic seating. Romans used marble, while the Ancient Egyptians preferred ebony and ivory, and there are some early editions of Chinese seats honed from roots. Because chairs have been in use for such a long length of time, experts are unsure exactly when they were first used. Early man’s likely to have used what was available, resulting in seating made from stones and wood, for example. Timber was one of the most common materials for seating, probably until the 17th Century, when other materials were added to chairs, including leather, silk and velvet. This lead to the creation of more sumptuous and decorated chairs, as well as more comfy seats too. Some of the biggest changes to furniture design occurred in the 19th and 20th Centuries because of innovative tools, machines and an influx of new products from which to make seating, such as plastics and different metals. The 1970s was a very creative decade for chair design, with plastic and tubular steel designs making an impact, as well as those being created from many different types of materials, from wood to aluminium. 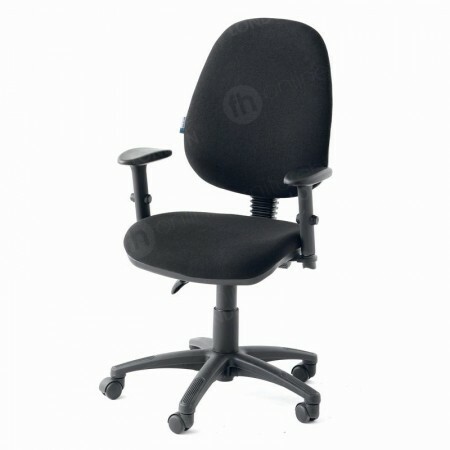 One of these was the Supporto, a product perfect for offices, thanks to its adjustable features, upholstery and arms. These three very practical elements, and many more, are all included in our Campbell office chair with arms. 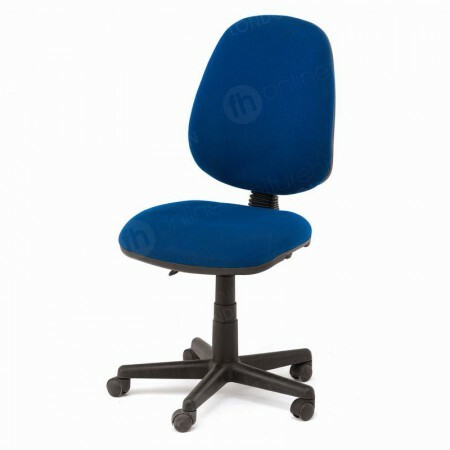 A 21st Century incarnation of all those innovative products and materials, our blue office chair looks very stylish and is extra comfortable, thanks to the cushioned seat and seat back, as well as the lumbar support. Comfort features are a major benefit to this chair, because it’s adjustable in so many different ways. You’re able to raise/lower the seat via the gas lift mechanism, change the angle of the seat-back and alter it’s height too. The five star, wheeled, base, means it’s easy to move around too, so you get full mobility around your workstation and office in general! So, when you want stylish, supportive seating for offices, receptions, meetings, spas, hotels, libraries, colleges and universities, our Cambell office chair with arms has all the chic looks and adjustable features you require. What's more it's a great match for our meeting tables and desks too. Are these a good match for your meeting tables? Some customers prefer to hire our Jackson operator chair without arms when they want meeting room seating, as they glide smoothly under tables. Do you have any other colours available? 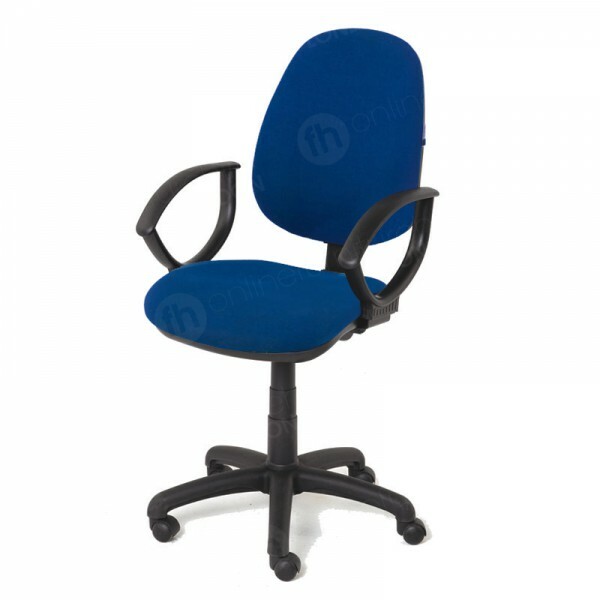 We have this chair in two versatile colours. 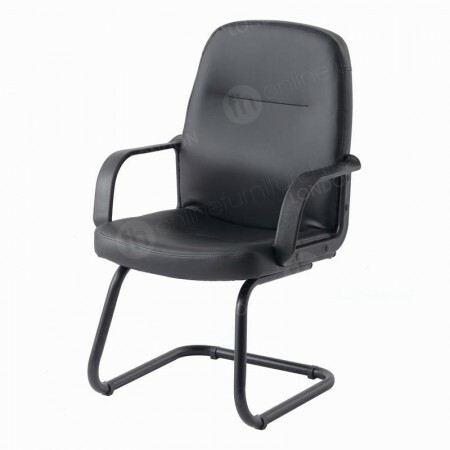 As well as blue, you can also order it in black, great for those very smart and professional looking venue.